You have it in you: the drive to make a difference, the commitment to your goals and the willingness to go after it with everything you’ve got. You love investigating the world around you. If you use both sides of your brain to try to make sense of the world around you, consider a program that will have you making new connections in more ways than one. Do you often wonder about the nature of things: what elements make up our world and how they interact with their environment? These questions get at the root of our lives and work, and you may want to take a scientific approach to describe and explain our world. If you have a desire to explore far-away places and a curiosity for how others live, you might want to satisfy it by learning new languages and study abroad. Are you curious about the consequences of risk? Do you picture yourself presenting a financial forecast to a room full of executives or leading a corporate planning meeting about a merger? You want to break the rules. If you are an independent thinker who takes pleasure in reimagining the world, pursue a career that requires you to express yourself and invent new things. You are talented and you want to immerse yourself in your pursuit of art. You want to have a lasting impact on the lives of others by teaching or performing, two of many ways to share your love of art with others. Get paid to design the next new thing. Companies hire people to design for building products, including robots. Do you love to travel? Do you cook not just to feed but inspire your guests? Follow your passion for creating new experiences for others. You want to create change. If you have a passion for making a difference and a strong sense of global responsibility, explore careers that reinvent old systems to build stronger futures. You care about the impacts of our actions on the world. You want to find new ways to preserve our natural resources, and you want to change current more policies to protect the environment on a local and global level. Are you excited by the idea of offering innovative solutions to the world’s problems? If you think you have what it takes to influence others to help you make one of your ideas a reality, consider being your own boss. If you naturally see faster and smarter ways of doing things, you may want a career managing people, data or technological systems to produce better products. Large companies are always looking for people who do business better. If you are a compassionate person who believes in service and wants to make a difference in someone’s life, you can have a career driven by the greater good in a number of different ways. Your love of children inspires you to teach. If you’re interested in the ways kids play, learn and develop, choose a program that will have you working in a real classroom and making a difference even before you graduate. You want to overcome obstacles to improve the human condition. You want to take what you learn and work with people to improve the health and welfare of everyone. You care about how we live together and the things that shape the way we treat each other – what is behind poverty, prejudice and the social movements that affect change and revolution in our society? 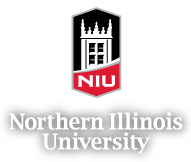 Learn more about all the majors and minors NIU offers you.